discovery and will become a romantic haven to return to, season after season. As if foretelling the sense of wonder that it will awaken in its guests, Conti di Bonifacio Wine Resort is a perfect picture postcard. Majestically set in the heart of the Maremma countryside, the Wine Resort stands on the peak of a hill from where it overlooks the surrounding countryside: woods, olive groves and vineyards scatter the landscape and offer up the excellence from which the local cuisine is born. 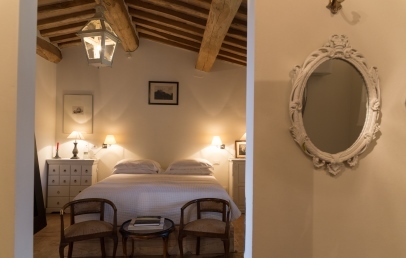 Result of the love between Count Manfredo and Countess Sarah, Conti di San Bonifacio fully embodies their shared passion for Tuscany, going above and beyond the classic concept of hospitality to create a destination in its own right. 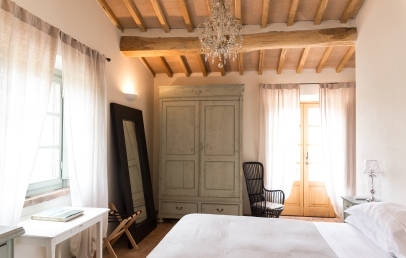 Designed and built by local workers, this small jewel of Italian hospitality has a rustic and elegant style that acts as the backdrop to designer pieces and elegant antique items. The search for excellence shines through in every individual detail, and stems from the outstanding coming-together of high-level service and the warm and relaxing atmosphere of Tuscany. The highlight of the hotel is the spectacular outdoor pool offering 360° views of the countryside of Maremma. 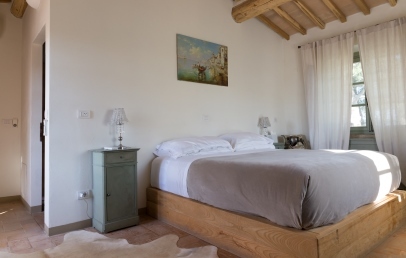 Lovingly designed by the Countess herself, the 7 rooms at Conti di San Bonifacio Wine Resort differ from one another in the furnishings and finishing touches while sharing the philosophy of the estate as a whole. Chestnut beams, Egyptian cotton linen, tiled floors, rustic style furnishings and designer pieces, combined with superior comfort pillows and mattresses and the most up-to-date mod-cons… Every detail contributes to maintaining the balance between exclusive hospitality and the spirit of the location. 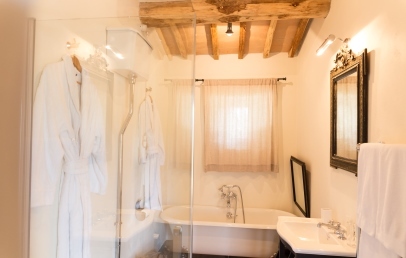 Conti di San Bonifacio Suite with Terrace – 70 sq.m., double canopy bed, fireplace, bathroom with bathtub and shower, private terrace and countryside view. 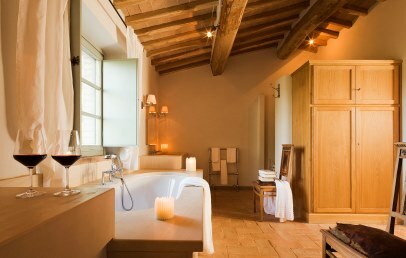 Vineyard Suite – 50 sq.m., king-size bed, large bathroom with bathtub and shower, private terrace, vineyard view. 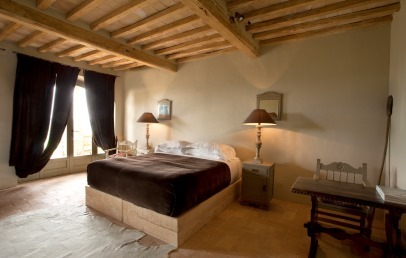 Olive Grove Junior Suite – 35 sq.m., double bed, bathroom with bathtub, sun terrace with garden, olive grove view. Hilltop Terrace Deluxe – 30 sq.m., double bed, bathroom with shower and free-standing bathtub, private terrace, olive grove and garden view. Courtyard Club – 20 sq.m., double bed, bathroom with shower, terrace and garden view. The Maremmana restaurant offers the very best of Tuscan cuisine, bringing to the table exclusively local products and traditional recipes embellished with a creative twist. The chef’s philosophy is based on the ongoing search for local excellence and organic farming practices, and the chef personally selects the best producers while serving the estate’s excellent wines and olive oil. The restaurant is perched on the top of the hill providing spectacular views and an unforgettable experience. 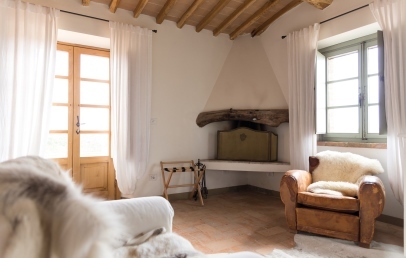 Conti di San Bonifacio Wine Resort has a wide range of activities on offer to provide guests with an authentic experience of farm life: guests can take part in cheese production, beekeeping, animal slaughter, distillation, grape harvesting and wine production. The hotel’s concierge can also arrange and reserve other activities such as a Ferrari driving experience, balloon flights, day trips by boat or excursions out into the local area. 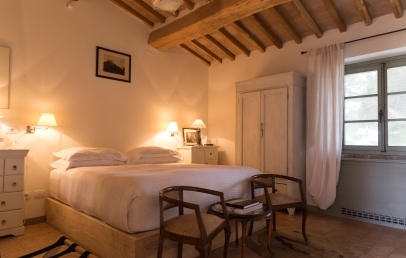 A large room located in the heart of the main building, the Conti di San Bonifacio Suite is a perfect hideaway for incurable romantics: a covered four-poster bed, fireplace, bathroom with bathtub and shower and Carrara marble inserts. 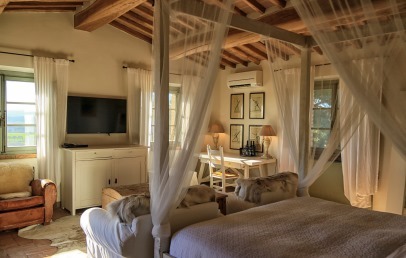 The large windows offer breath-taking views over the Maremma countryside, which is also overlooked by the large private terrace furnished with parasols and sun beds, perfect for a private sunset dinner. 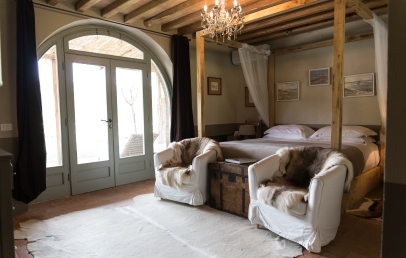 Large spaces and breath-taking views, Vineyard Suites offer impressive chestnut beams, king size beds and large bathrooms with bathtub and shower. The welcoming suites have a spectacular private terrace furnished with a table and sun beds overlooking the estate’s vineyards. Vineyard Suites are the ideal choice for families who need two additional beds or two rooms that connect via the terrace. 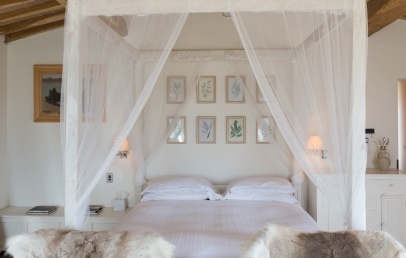 Perfect for nature lovers, Olive Grove Junior Suites overlook the estate’s olive groves and offer a sun terrace with garden furnished with sun beds and dining table. 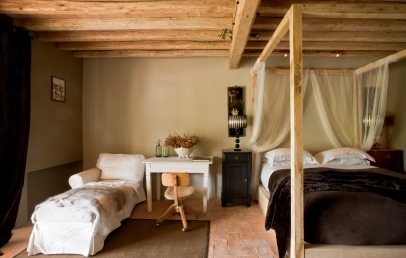 The design of the junior suites pays tribute to Tuscan rural traditions while fully integrating all modern comforts. An additional bed can be made available upon request. 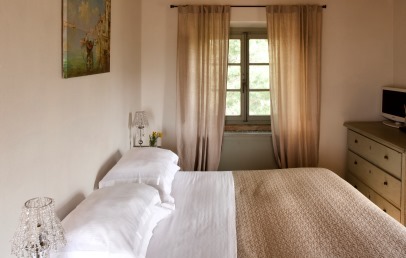 Located at the heart of the main building, the Hilltop Terrace Deluxe has two windows overlooking the estate’s olive groves and beautiful garden. The room offers a private terrace furnished with two sun beds and a dining table. 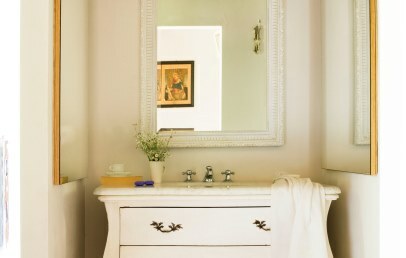 The bathroom has both a shower and free-standing bathtub. 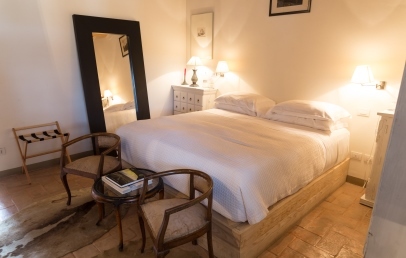 A welcoming room furnished in classic style, the Courtyard Club has chestnut beamed ceilings, a bathroom with Carrara marbles inserts, and views over the estate’s beautiful gardens. 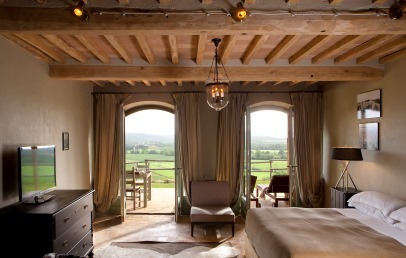 The room overlooks a shared terrace offering spectacular views over the Tuscan countryside. 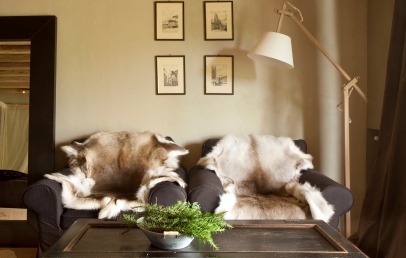 Inclued in the rates Unwind in Winter: one massage per person and one dinner for two!